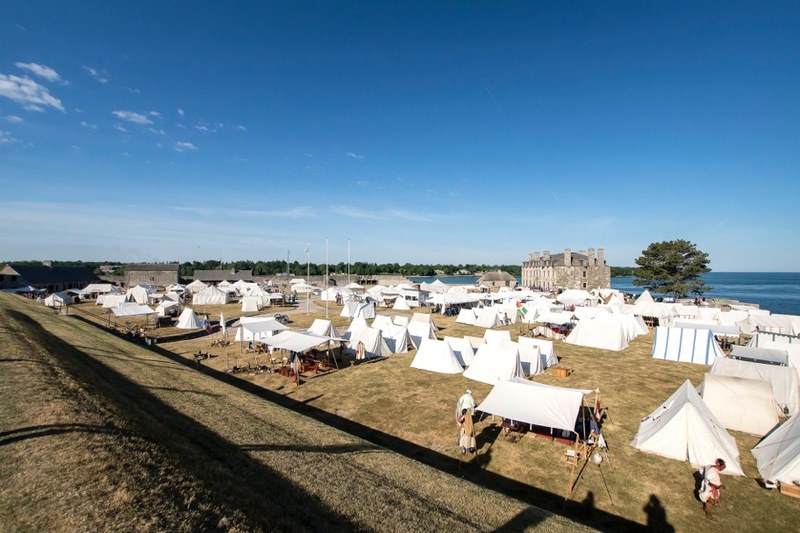 Old Fort Niagara is getting ready to let visitors get their hands dirty at this year’s French and Indian War Encampment, July 1-3, on the very soil where French, British and Native soldiers dirtied their hands in July 1759. 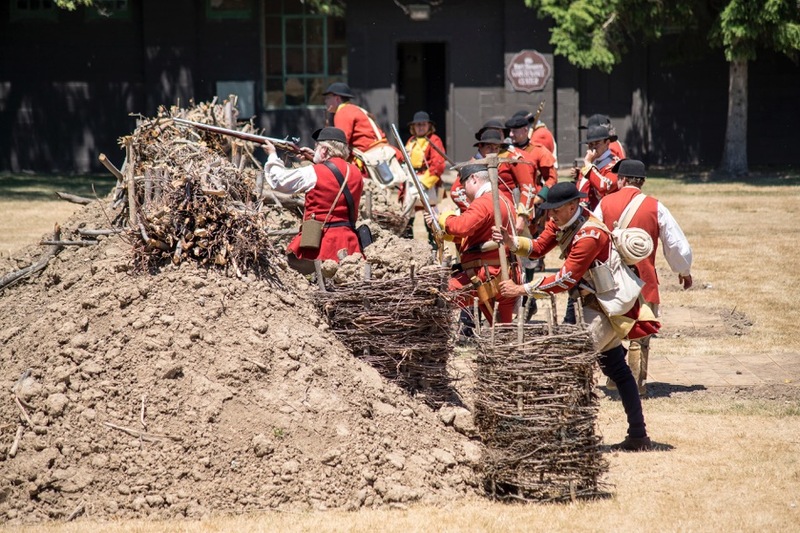 As hundreds of staff, volunteers and re-enactors come together to stage the dramatic siege of the French Fort Niagara by the British, the public will have access to hands-on activities, demonstrations and special tours. 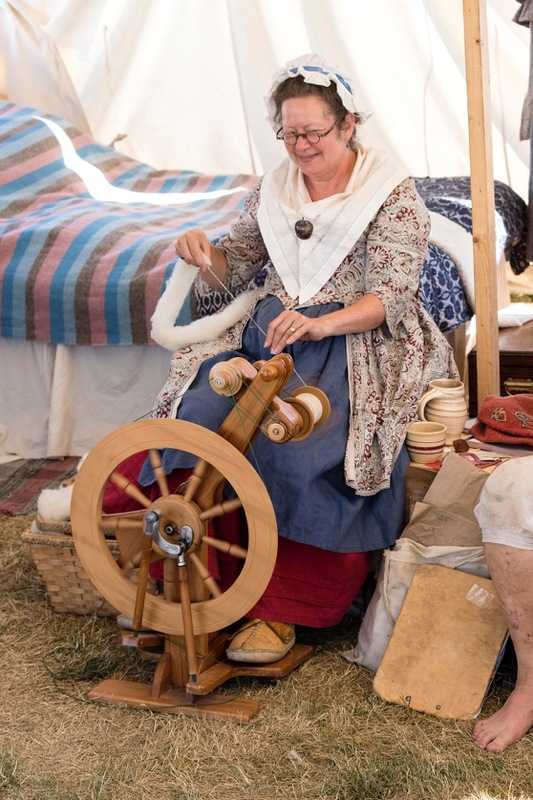 Among the hands-on demonstrations are: learning manual exercises with wooden muskets, carrying barrels and trade bales to help the French fortify the earthworks, sewing sandbags, handling Native trade goods and furs, and playing period games. 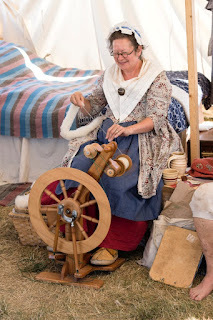 Demonstrations include: engineering and exhibition of 18th century trench defenses; French women sewing sandbags and powder bags, and treating the wounded; British artillery firing on the French and French firing on the British; Natives and French trading furs for European goods; British and French preparing food and feeding the troops; Natives playing lacrosse; French, British and Native sutlers (period merchants) demonstrating and selling handmade products, like pottery, ironworks, clothing, soap and food. 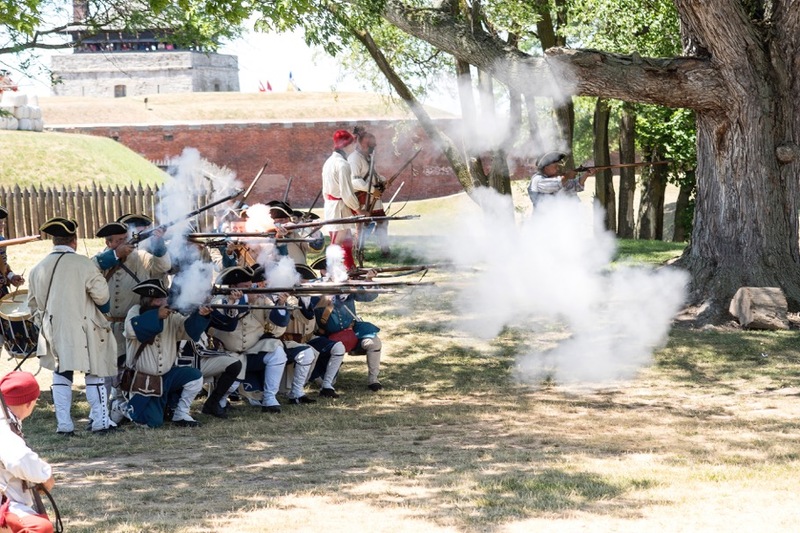 Siege and battle tours during the encampment will help narrate the sequence of historic events being portrayed on the fort grounds. Visitors are invited to accompany tour interpreters as they set the stage for the conflict being re-enacted around them. The fort’s hours will be 9 a.m. to 7 p.m. daily (admissions end at 6:30 p.m.). Visitors should arrive 30 minutes to an hour before battles to allow time to get through admissions and to the viewing areas. 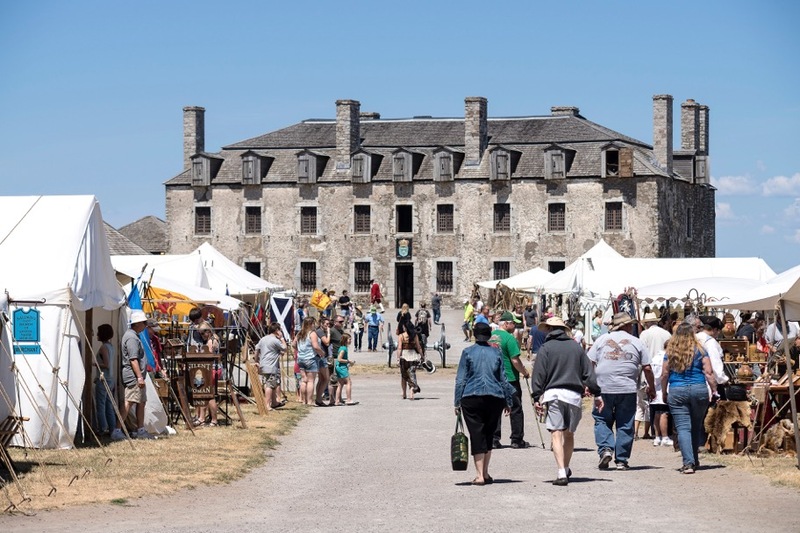 This special tour will explore the physical history of the fort during the French and Indian War. The tour will touch on military engineering practices of the 1750s and how they were employed to better defend Fort Niagara. Natives and French traders gather to barter furs for European goods. Witness the fur trade, which was brisk at Niagara during May and June 1759. Handle sample trade goods and furs. The garrison assembles in front of the castle to troop the colors. Afterward, a small hunting party leaves the fort to seek game in the woods to the east of the fort. Discover the story behind the planning and execution of the British campaign. Meet British and Provincial soldiers, and Native warriors who took part in the 1759 campaign. French hunters approach the woods line, when they are fired on and seized by Native warriors. One man escapes and sprints for the fort. A detachment from the fort soon appears to investigate. Suddenly British regulars begin to fire volleys from the woods line, backed up by Native warriors. French troops return fire but are slowly pushed back toward the fort. British officers question the French prisoners about the strength of the fort. Portraying the events of July 6-8, French defenders prepare the fort for Siege. Soldiers move barrels and trade bales into the ravelin (outer earthwork defenses) for additional cover. Meet the French soldiers, miliciens and Natives who will defend the fort from attack. British Captain Walter Rutherford appears with a small party and requests a parley. He is met, blindfolded and brought to the French Castle, where he delivers a surrender demand to Captain Pouchot. Captain-Lieutenant Williams discusses how the British intend to approach Fort Niagara, how saps (trenches) are laid out and constructed. Events of July 9-11. A British work party enters the sap with a trench guard. The French sally from the fort's defenses, driving the British back. Drums roll in the British camp and British forces counterattack, driving the French back to the fort. The French retreat back to the fort under cover of artillery. British mortar demonstration in the sap. With Sir William Johnson in attendance, Kaendae, a Haudenosaunee leader, holds council in the British camp. Six Nations warriors agree to withdraw from the siege and camp at La Belle Famille, a site one mile south of the fort. At the castle, Captain Pouchot makes a speech, reproaches the Senecas for allying with the British and invites them to extricate themselves from the siege. Potawatomie and Mississauga in the fort also address the delegates. Six Nations delegates leave the fort. The British advance the sap and trade small arms fire with the French, who also continue to fire artillery. An interpreter conducts a tour around the periphery of this action, explaining what is happening. Demonstration of camp cooking at the British camp. British guns are brought forward and open up on the fort. Artillery and engineering demonstration. British forces make an assault on the fort but are driven back by French fire. French women sew sandbags and powder bags, and treat the wounded. An interpreter explains the role of women in the siege. Both sides enter the lines and trade musket and cannon rounds. Events of July 24. The French relief force tries to break through to Fort Niagara but is stopped by British regulars under Col. Massey. British guns pound the fort. French return fire. Events of July 21-24. British small arms and artillery continue to pound the fort. Many French guns are dismounted and men refuse to fire over the parapet. Officers try to motivate their men to continue the defense of the fort. The British successfully assault the outer works. French sue for terms. British troops enter the fort. French troops formed on parade ground, Natives acquire French goods, fort surrenders. Food, snacks, drinks and ice cream will be available for sale each day from 11 a.m. to 4 p.m. at the log cabin and adjacent food tent. The fort’s Officers’ Club and its New Fort Niagara displays (post-Civil War through 1963) will be open to the public from 10 a.m. to 4 p.m. daily. Everything is included in the $13 admission price and children ages 5 and under are free. Admission is also free for Old Fort Niagara Association members. However, please note that new or renewed memberships to the Old Fort Niagara Association will not be processed onsite during the French and Indian War Encampment. Memberships can be purchased online at www.oldfortniagara.org/membership/registration. 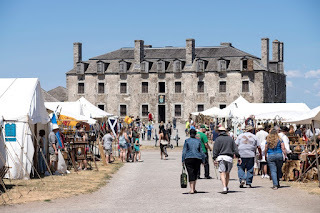 In the 18th century, New France’s Fort Niagara occupied a strategic gateway to the inner continent of North America via the Niagara River’s connection to the Great Lakes region and subsequent waterways. From 1754 through 1760, France and Britain battled for control of these areas while also fighting the Seven Years War on European soil. France lost their hold on Fort Niagara and thereby lost the western gateway to the heart of the continent. Under the terms of the treaty that ended the war, Britain took control of Canada and the Great Lakes region. The war’s cost led to new taxes on the King’s American subjects that spawned political unrest in the 13 colonies. Life on the New York Frontier during the American Revolution. Period camps, musket and artillery demonstrations, military battles and activities for kids. Experience the surprise British attack on Fort Niagara that took place on December 19, 1813. Tactical and weapons demonstrations from the War of 1812 with unique Saturday evening battle. 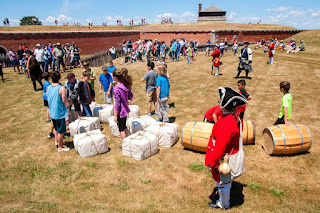 Old Fort Niagara (www.oldfortniagara.org) is open daily from 9 a.m. to 5 p.m. through June and from 9 a.m. to 7 p.m. in July and August. Admissions end 30 minutes before closing. 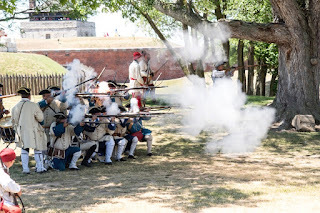 Old Fort Niagara is a Registered National Historic Landmark and New York State Historic Site operated by the Old Fort Niagara Association (a not-for-profit organization) in cooperation with the New York State Office of Parks, Recreation and Historic Preservation. Follow us on Facebook, Instagram, Twitter and YouTube.